I’d like to personally THANK everyone who participated in the Tucson Tour De Cure. My passion and support for this event is based on a firm belief that getting people on bikes is a cure for many people with Type 2 diabetes. It also shows that those with Type 1 can lead an active lifestyle and manage their diabetes. My personal physician, Dr. Alex Perrian, with New Peublo Medicine, is a perfect example of someone who took control of his diabetes. 18 years ago when I went to my annual physical I had put on a few pounds from the previous year. Dr. Perrian said it is not a big deal, enjoy life, and that it is normal for a man to ad a few pounds a year. My wife said that at the rate I was going in 20 years I would be 220 pounds, 40-50 pounds overweight. Whereas, I heard that and watched my weight, Dr. Perrian did put on a pound or two a year. He was just following the advice he had given me of enjoying life to it’s fullest. A few years ago, as a result of this lifestyle he found that his blood glucose level classified him as being diabetic. In response to this finding he changed his diet and got on the bike. He dropped weight, he found more energy, and his tests now show he is not diabetic. The advice he is now giving his patients is, be active. His advice is working as New Pueblo Medicine was one of the top fundraising team this year with over $7000 raised for The Tour De Cure with 11 team members!!! Dr. Perrian is just one of the hundreds of great stories from this event. Again, THANKS everyone for participating and next year I look forward to seeing even more of you out there. April is the Official Bike Month in Tucson. It means the ride list needs the most attention. 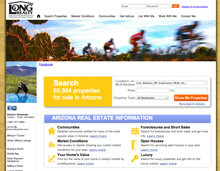 It is also one of the busiest times for me as A REALTOR. When it comes to the ride list or taking care of my clients, my clients are going to win every time. I just wish I had more time in the week and was able to get the ride list out earlier and have every ride. I’ll focus on a few of the big rides this week and provide links to all the other ride list calendars below. Riding into the finish with the sweep car behind you is an emotional experience that many people will never experience. Those emotions can range from the elation of just finishing to a sense of utter shame for being the last one out there. One thing is for certain, you get some extra time in the saddle to help you determine the mood you are going to embrace. Most of the time you are out there by yourself and only have your own emotions to keep you company. 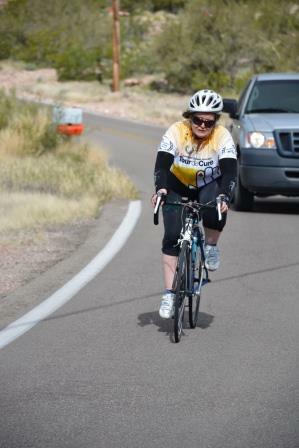 This past weekend, in the Tucson Tour De Cure, I had the opportunity to ride in with the last rider. This rider, Jill Clements, is a real estate assistant in my office at Long Realty and signed up on “The Damion Alexander Team” for the ride. She has been riding for years, but had not put in much effort prior to this ride as life has been getting in the way of life, as is the case for most of us. She signed up for the 50K ride. I was taking photos on Rattlesnake Pass when Jill came riding up. She was definitely suffering, but pedaling away at a slow consistent rate. I ran behind her the last 100 yards giving her a big push. I went back to my photos for 5 minutes before chasing her down. It amazed me it took so long to catch her as we were riding into a head wind. We rode in the last five mile together. I learned she had 2 flat tires on the day and had been out riding for almost the entire time by herself, with the sweep truck stalking her from behind. Jill was definitely experiencing a heightened level of emotions, but used that fuel to make it to the finish line. In my book, that makes Jill a Winner. I’ve finished with the pack on many rides and it is not nearly as gratifying, physically and mentally challenging as the days when I finished even when I was done miles before the end. Being out in the wind for those extra minutes can be the longest hours of your life. This morning, when I arrived at Long Realty, Jill was already at her desk plugging away. You might have guessed by now, but she was not offered a pro deal over the weekend and is sticking with her day job. She has Yoga tonight and a bike ride scheduled for tomorrow. What I find so wonderful about this story and life in general is seeing someone go outside of their comfort zone, in this case way outside, but to stick with the task until it is done. We are all so capable of doing more than we ever can imagine. Jill proved that at the Tour De Cure. What challenge is on your list? Jill made a huge push the last mile to ride in with A Red Rider. If you missed last weeks Ride List, you can always subscribe to receive it via email. 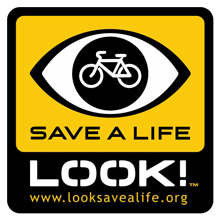 Just send an E-mail to Info@BikePilgrim.com or Damion@DamionAlexander.com and put ride list in the subject. 9:00AM Como climbing, then on to Ridgeline.